I escaped from Brussels for 4 days of well-deserved holidays in Barcelona last July. I had been to Barcelona many years before and this time was much more about relaxing and drinking mojitos than visiting (anyway it was way to warm!). Equipped with my favourite guide and my never-failing (mh!) instinct, here are my recommendations to make your taste buds happy! 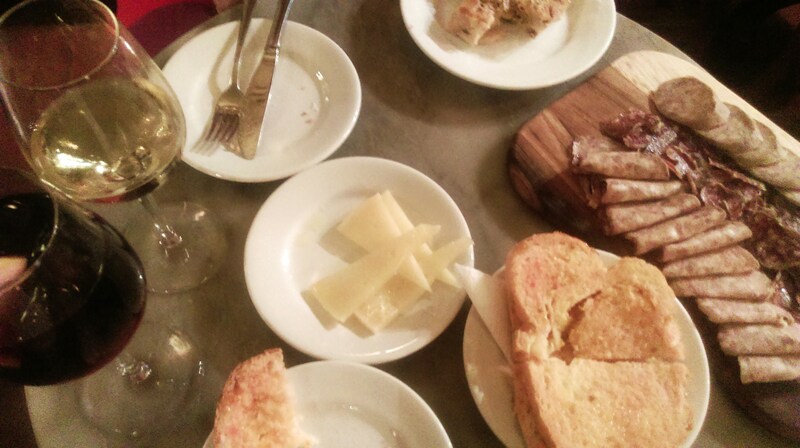 Our best dinner out took place in La Bottega La Palma in the Gothic Quarter. 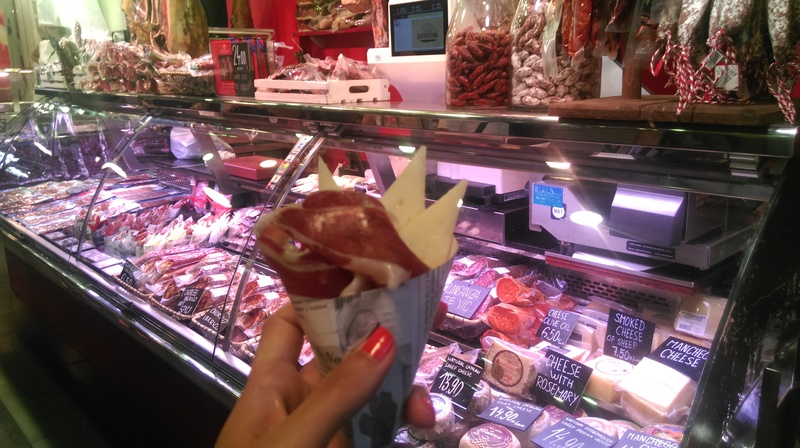 To be honest, we nearly decided to stay there forever just eating their pa amb tomàquet (bread slightly toasted with tomato rubbed over it and seasoning) … definitely the best one we ate during the whole trip! 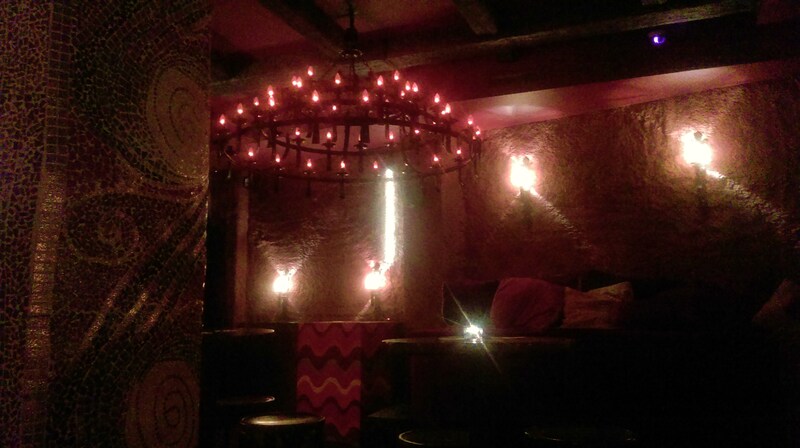 Our second recommendation would be the more modern Bubó Bar in front of the lovely Santa María del Mar. The turf and surf tapas are slightly more expensive than in other places but more refined and original. Try the wild mushroom mini toasted sandwich, loved it! There is also a bakery with pastries that look delicious. 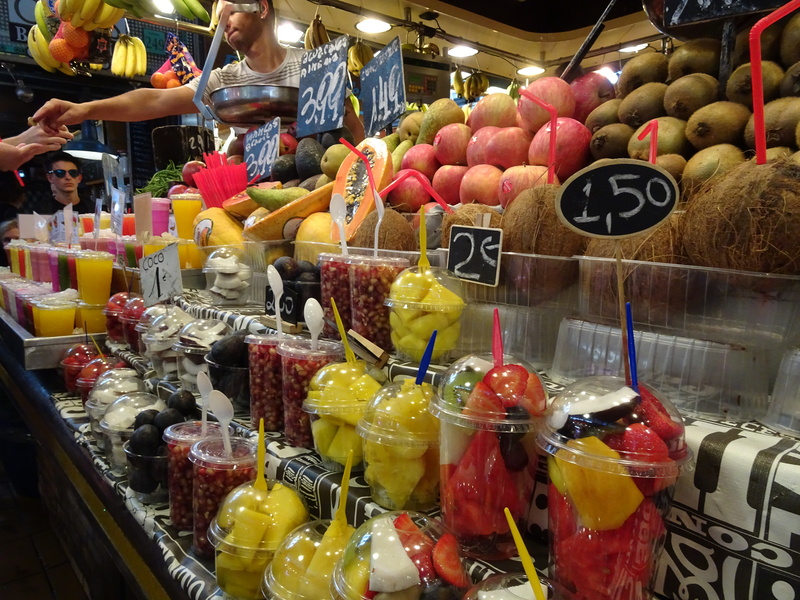 Of course, for a little snack or a delicious fruit juice, you can always go to the picturesque Mercat de La Boqueria on Las Ramblas. Tip: Walk until the end of the market to eat on the quiet square behind the market. 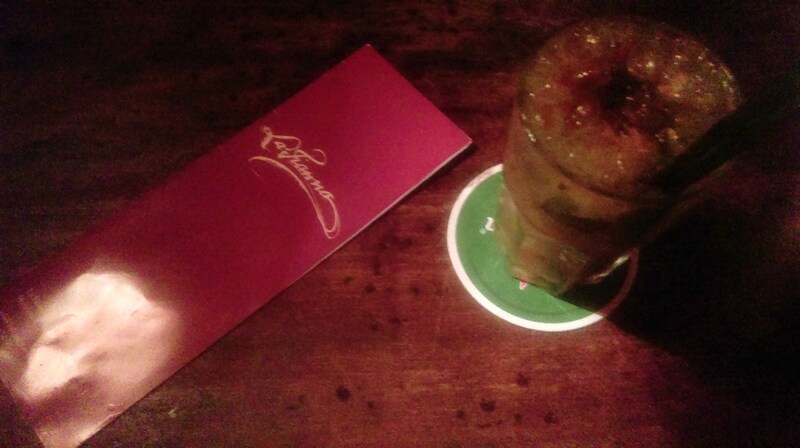 • La Fianna: the place is amazing and their mojitos even more! Just perfect, for once I really have nothing to criticise! • El Rabipelao Gòtic also called… the casa of mojitos on Google map! You can choose among more than 20 Carribean rums and many different sorts of mojitos in a small welcoming bar. 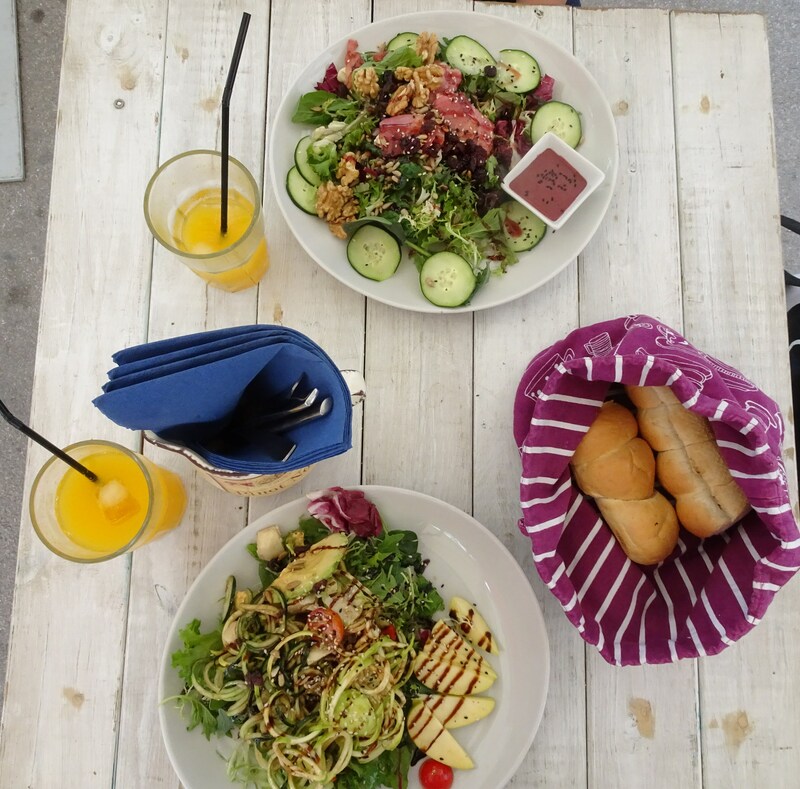 Bonus n°2: Where to have lunch in Sitges? We escaped the busy beaches of Barcelona for a day in Sitges (about 45mins away from the city by train) where we also found some yummy healthy cheap food at La Perla Blanca (Passeig de la Ribera, 24). Although its location by the beach front could scare you away, you should stay! The service is very nice, the place very cute and even simple cucumbers become a real piece of art! I love how it was the bread of all things that got you guys to want to stay there for ever. Now that’s a great dish! But seriously, I don’t blame you. That sounded delicious and all the pictures look mouthwatering. I don’t even wanna leave this post now!! Spain is DEF on the bucket list – but first… Greece & Italy in 3 weeks!